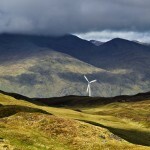 Around 2,000 jobs could be created every year up to 2050 in Wales, and €2.7 billion injected into the Welsh economy, if the Welsh government target for 2,000 MW of onshore wind capacity by 2025 is met, a new report by RenewableUK – an industry body – and the Welsh government claims. However, if approval rates for onshore wind farms continue at the same pace as they have from 2001-2011, the total contribution to the Welsh economy would fall to €1 billion with only 1,000 jobs created per year. “Without a significant shift in the consenting rate, and in the overall approach of planning policy in Wales to this sector, we will continue to be held hostage by rising fossil fuel prices and we will fail to meet our renewable energy ambitions with a corresponding missed opportunity to generate livelihoods for more than 2,000 people in Wales,” David Clubb, Director of RenewableUK Cymru, said. 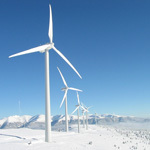 This week, from 4-7 February, Vienna is a hive of wind energy activity as delegates from across the sector and from the world over descend on the city for EWEA’s 2013 Annual Event. But what is this year’s event all about, and why should you attend or follow updates on EWEA’s blog? We spoke to Julian Scola, EWEA’s Communication Director, and Malgosia Bartosik, EWEA’s Events Director, to find out. What do you expect the hot topics of the event to be? Julian: Wind energy, like most sectors across Europe, is clearly experiencing tough times. There’s the undercurrent of economic strife and governments have wobbled in their support for renewables in general which has created investor uncertainty. With this background, I think there will be two key debates at EWEA 2013: where the new markets are, in particular the promising growth rates in eastern and central Europebut also beyond Europe; and finance. The financial crisis has meant that banks and utilities that used to lend to wind no longer do so. The sector is therefore looking to new financial horizons like pension funds and insurers. New sources of finance are coming into the market but there is still a lack of understanding and communication between the two worlds – EWEA 2013’s finance track will feature discussions that will begin to close that gap. Wind energy is expanding across Europe – currently the continent has over 100 GW of wind energy capacity with levels set to rise as the EU continues on its path to a 20% share of renewable energy by 2020, but the expansion in the number of skilled workers the sector requires is not keeping up. TPWind – wind energy’s research and development platform – is set to release new statistics at the European Wind Energy Association’s 2013 Annual Event in Vienna early February revealing just how deep the skills shortage runs today, and is likely to run in the future. Engineers are in short supply, especially in operations and maintenance, the statistics will show. Freezing temperatures in both Belgium and Germany have put both countries’ power systems to the test this week, but neither country has experienced electricity blackouts despite the lack of nuclear power. Two of Belgium’s seven nuclear reactors – Doel 3 and Tihange 2 – were switched off this summer, following the discovery of cracks, cutting 2,000 MW of electricity-generating capacity from Belgium’s electricity network. Even without this nuclear capacity online, the network survived this winter’s peak electricity demand of 13,166 MW on 17 January, L’Echo, a Belgian newspaper, reported. Belgium’s electricity supply is guaranteed by a small amount of energy imports – including gas from the Netherlands and solar and wind from Germany – and a diverse energy portfolio, one in which renewable energy has a rising share, the paper said. Still reeling from the earthquake and tsunami that destroyed the Fukushima nuclear plant in 2011, Japan has announced its intention to build what could become the world’s largest offshore wind farm. 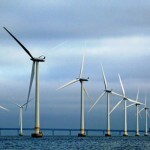 New Scientist reported last week that the world’s third largest economy plans to build by 2020 an offshore wind farm with 143 turbines 16 kilometres from the destroyed Daiichi nuclear reactor. The new wind farm will generate 1 gigawatt of power once completed, the magazine said, adding it is part of a Japanese plan to increase renewable energy resources following the post-tsunami shutdown of the nation’s 54 nuclear reactors. Currently, two of those reactors have come back online. “The project is part of the Fukushima region’s plan to become completely energy self-sufficient by 2040, using renewable sources alone,” the article said.